According to the American Academy of Opthamology, each year about 700,000 Americans undergo LASIK eye surgery to correct vision problems including myopia (nearsightedness), hyperopia (farsightedness) and astigmatism (vision problem associated with the misshape of the eye). LASIK surgery has a 95.4% satisfaction rate worldwide as reported by the Eye Surgery Education Council. With so many people having such a positive experience, perhaps you should consider if LASIK is right for you. LASIK stands for Laser Assisted In-Situ Kertomileusis. In plain language, it is a vision correction procedure that uses an excimer laser which can reshape and correct the cornea without harming surrounding tissue. It is refractive surgery, a surgery that corrects problems with the cornea and the focusing of light onto the retina, but can be performed in a relatively short period of time as an outpatient procedure. Most people opt for LASIK to reduce or eliminate the need for wearing contacts or corrective lenses. During the LASIK surgery, a flap is cut in the cornea. When this flap is lifted back, the opthamologist is able to use the excimer laser on the stroma, or middle layer of the cornea. The cornea is the part of the eye that focuses light to create images on the retina. This is called refraction. It is not uncommon for the cornea to be misshapen. By reshaping the cornea, the opthamologist is able to correct vision problems resulting from refraction problems. Once the cornea has been reshaped, corrective lenses or contacts will most likely not be needed or needed only for specific tasks. The Food and Drug Administration (FDA) approved the use of LASIK eye surgery in 1998. Since that time, millions of Americans have gone through the procedure with great success. As with any surgery, LASIK is not for everyone and a different type of laser eye surgery or other corrective treatment may be more appropriate depending on your circumstances. The first step to determining if LASIK surgery is right for you is to make an appointment with an experienced, board certified opthamologist who specializes in corrective laser procedures. 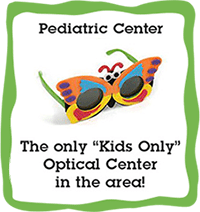 During the first appointment, the opthamologist will take a full medical history and examine your eyes. The Cabarrus Eye Center doctors, can also explain the procedure in more detail and discuss the outcomes, advantages and possible risks with you. If LASIK is not the best procedure for you, there may be other options. In any event, you can rely on the doctors and staffs at Concord, North Carolina, Cabarrus Eye Care to give you the attention, time and information you need to make the best decision about your eye care. 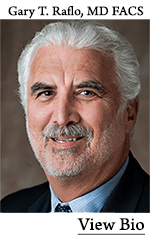 Dr. Gary Raflo, M.D., F.A.C.S. at Cabarrus Eye Center in Concord, North Carolina is an expert in LASIK and other laser vision correction surgeries. If you are interested in the possibilities LASIK or other laser procedures may hold for your improved vision, make your appointment by calling 704-782-1127.